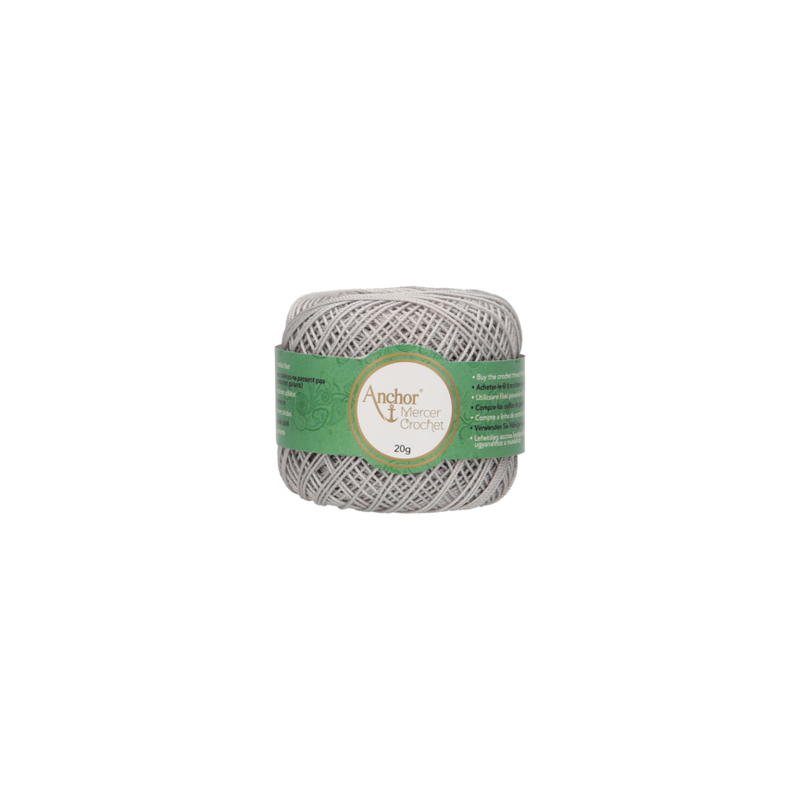 Anchor Mercer Crochet is the Mercedes [Rolls Royce] of the crochet world with a very strong Anchor heritage throughout the centuries. 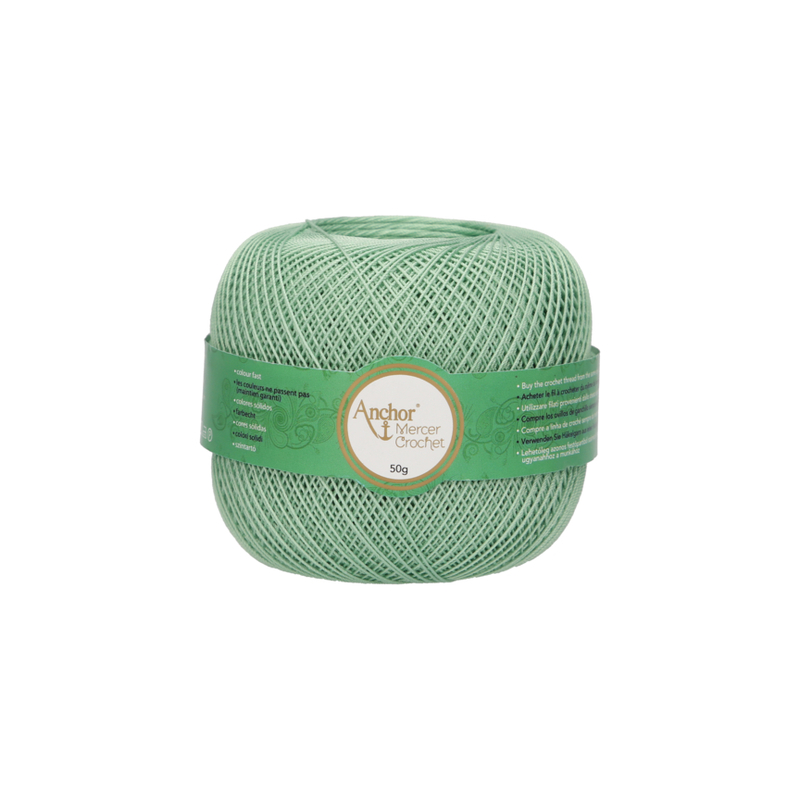 With a 6 cord construction (2x3 ply) Mercer crochet offers a strong lustrous crochet threads which is perfect for fine crochet home decoration and for lace or tatting in the finer tickets. 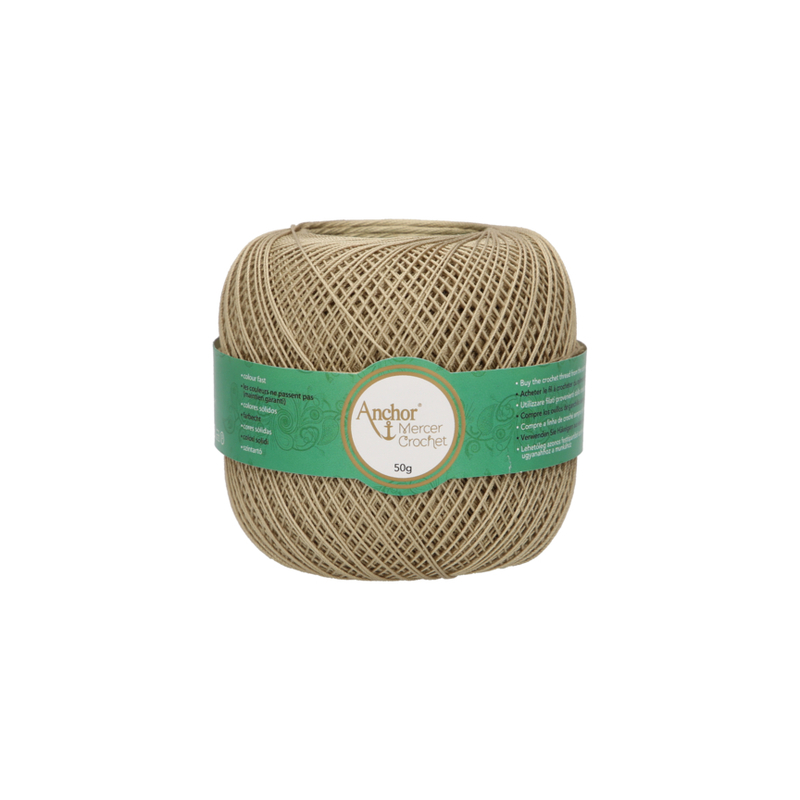 Anchor Mercer Crochet is made from top quality Egyptian Giza cotton and is double mercerised to provide its superb lustre, along with the highest level of colour matching available. 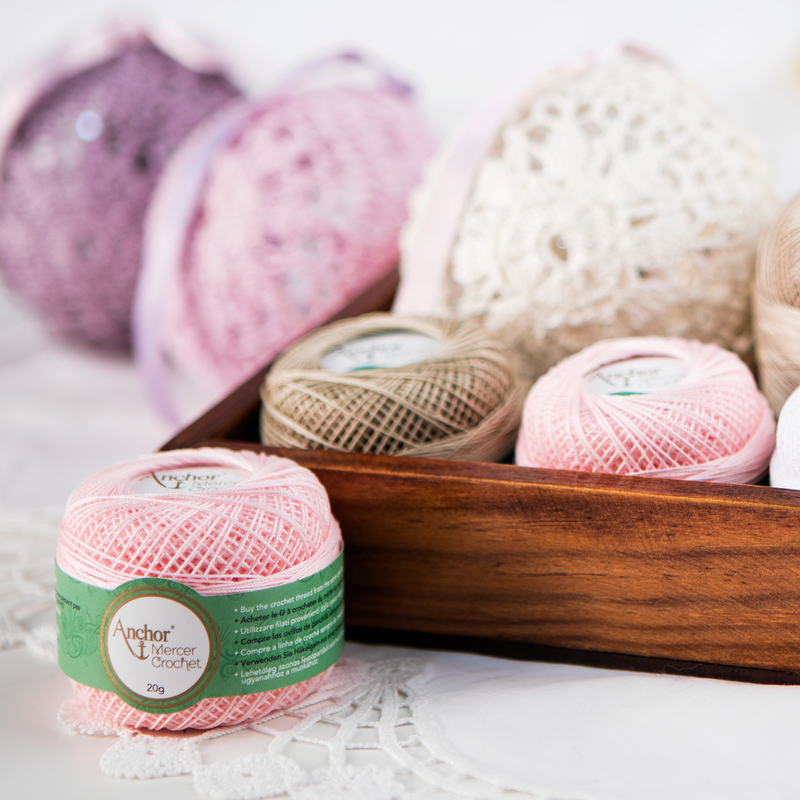 Trusted by generations Mercer Crochet has traditionally been used for timeless crochet projects as well as for delicate lace applications on fine garments or accessories. Projects made with Mercer Crochet are made not only with a cherished yarn but with a cherished sense of art – these are projects made for a life time. Mercer Crochet is available in up to 13 natural tone colours across 4 ticket numbers [thicknesses].